When we founded COCO-MAT back in 1989, we shared a common dream; offer blissful sleep to every person who sleeps on our beds, our pillows and our mattresses. Using Nature’s wisdom as a guide and source of inspiration, we created innovative products and home furniture, made with natural materials. Our company since then has grown to become a global brand with stores in 17 countries worldwide. Many things have changed, but our dream remains the same. Every time you wake up happy, after a deep, restful sleep, you make it come true. 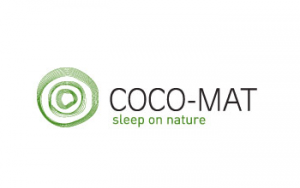 COCO-MAT has over 100 points-of-sale with stores in major cities of 17 countries including New York, Paris, Rome, Madrid, Berlin, Beijing, Amsterdam and Seoul. Would you like an ultra-king-size mattress? You can have it, because we can make it. All our mattresses, pillows and sleep products are handmade at our privately owned factory in Xanthi, Northern Greece, so we can literally make anything. Our factory has a virtually neutral carbon footprint and recycling reach 96%. Without smoke or noise, experienced craftsmen work patiently, following traditional carpentry methods, with respect to the environment and the region’s eco system. We also take extra pride in using naturally replenished raw materials, such as cotton, seaweed, wool and wood, sourced locally in Greece and Europe. The NEXT Forecast 2016 projects U.S. consumer sales of natural, organic and healthy products to expand from $153 billion in 2013 to $252 billion by 2019 (i.e. grow at a compound average growth rate of 8.6% versus the projected growth rate of mainstream consumer packaged goods of -6%). The global and US retail bedding markets are estimated to worth $65 billion and $23 billion respectively of which, less than 3% represents bedding made out of natural materials. Over the next 10 years it is expected that the natural bedding segment shall represent around 15% of the bedding market. In today’s figures the market is expected to grow globally from $1.95 billion to $9.75 billion and in the US from $0.69 billion to $3.5 billion. COCO-MAT and its franchisees are uniquely placed to take advantage of this opportunity. Request information below now to learn more.